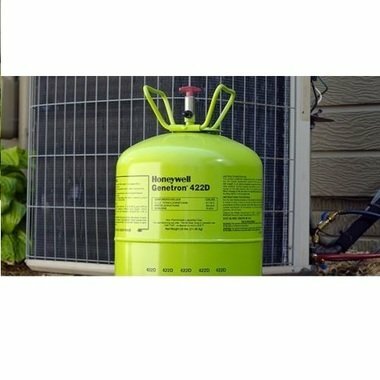 Refrigerant 410a, or R-410a, is the leading HFC refrigerant for replacing R-22 in positive displacement residential and light commercial air-conditioning and heat pump systems. 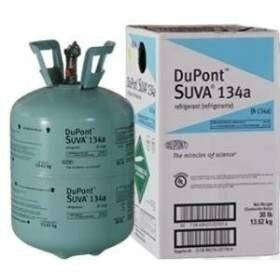 Refrigerant 410a, or R-410a, is the leading HFC refrigerant for replacing R-22 in positive displacement residential and light commercial air-conditioning and heat pump systems. It has higher cooling capacity and significantly higher pressure than R-22 and should be used only in systems specifically designed for R-410A. Does not contribute to ozone depletion unlike the R-22. Equipment designed for Freon™ 410A has up to 60% greater capacity than current R-22 equipment. Air conditioning systems with Freon™ 410A can meet or exceed local energy performance guidelines. 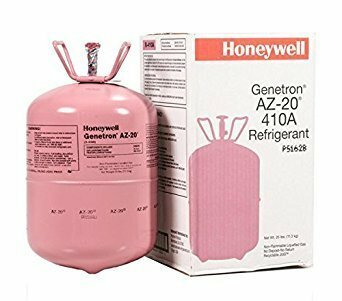 R-410a refrigerant was invented and patented by Honeywell in 1991. Carrier Corporation was the first company to introduce R-410a air conditioning unit the residential market in 1996 and they hold the trademark name “Puron”. 410A is classified as an HFC refrigerant and does not contain chlorine and is not harmful to the ozone. R-410a replaced R-22 as the main refrigerant for residential and commercial AC units, freezers, and refrigerators. As of 2010 no new AC machines can be manufactured using R-22 , all future machines have to use R-410a . R-410a has a great opportunity and is the short term is the future of home and commercial applications. Having said that, R-410a is an HFC refrigerant and thusly has a high global warming potential. R-134a, is a cousin of 410A, and is being banned across countries due to its high global warming potential. It is only a matter of time before 410A is phased out as well. HFO refrigerants will be the future. They are expected to be expensive. 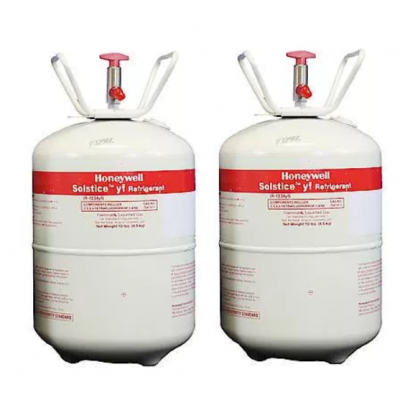 It is available in a 25-pound cylinder for a great price from Refrigerant Depot. We offer R-410a in larger industrial sizes as well. Our website is designed to make your purchase easy and secure. We will work hard to not only earn your business but to keep it.